Discussion in 'iPhone and iPad Games' started by Zbam, Oct 19, 2016. 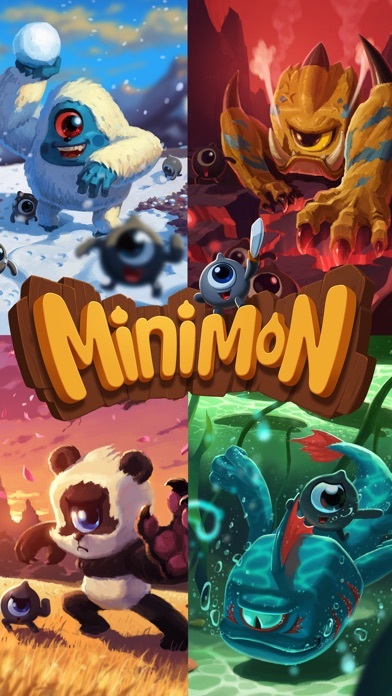 After last week we asked for some beta testers we felt safe to release "Minimon - The Adventure of Minions" for iOS, it is an RPG featuring one-eyed monsters from another galaxy, who must go against a prophecy to save their world. Together with our main character Enkobo and manny more Minimons, players can start their journey to the darkest places in the Minimon World. If you want to learn more about the Minimon universe. Let us know that you think! A LEGEND AWAKENS… The once peaceful and harmonious homeland of Minimons is being threatened by dark forces. Its inhabitants are overcome with madness except for one small Tribe in the West: The Doo-Doo Tribe. An ancient magic scroll has fallen into the hands of Enkobo, the Guardian of the Doo-Doo Tribe, containing a spell to summon the mighty dragon Orochi. Enkobo’s quest is clear. He must travel the world to unravel the secrets of the summoning spell. Time is running out, the Darkness is coming closer, Orochi must be summoned. Experience a story where you have an important role to play, a legendary tale awaits you in the lush forests, fiery mountains and restless oceans of Minimon! Warning: the following features might cause a mild addiction to this magical world! 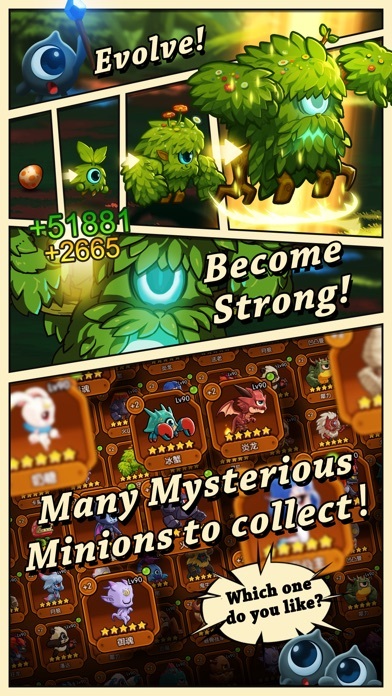 = STORY DRIVEN ACTION RPG = Join Enkobo on his quest to summon the mythical monster. During your journey you will encounter many cute Cyclops-like creatures called “minions”. 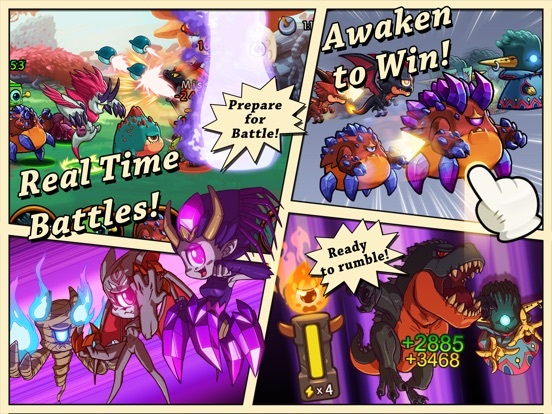 Recruit these mythical creatures to join your team and fight your way through thrilling battles and epic World Boss Fights! Scavenge loot, equip new items and collect minions to summon the Mythical Minion. 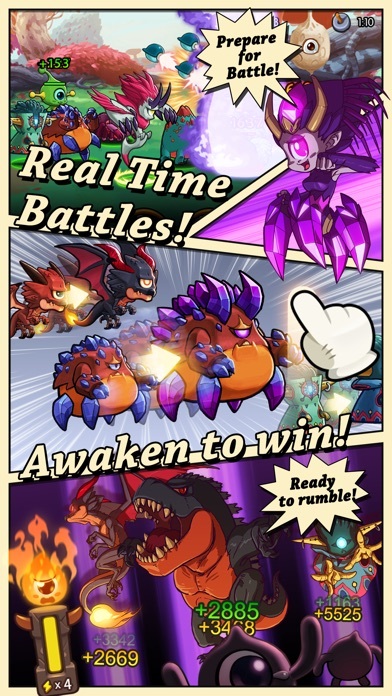 = STRATEGIC BATTLE SYSTEM = Awaken your minions in battle to unleash their full potential Every minion has 4+ skills and their own unique talent tree Customize your team to get an edge on your competition! = 50+ UNIQUE MINIONS = Collect, upgrade and nurture your minions and become master of the elements Create a team of Tanks, All-rounds, Specialists and DPS Play to Win! = INTENSE WORLD-WIDE PVP BATTLES = Join the biggest arena battles for eternal glory and reach the top of the leaderboards Receive glorious rewards for participating in weekly events Awaken your minions to 5+ stars! = COLLECT MYTHICAL ITEMS = Empower your minions with mythical items Collect Dragon Rings, Moonstones, Demon Skulls and Sunstones Disenchant items to receive powerful magicka! = PARTICIPATE IN MASSIVE GUILD CLASHES = Discuss your strategy in the guild chat and defeat the legendary monsters Collect buffs and raid the Outlands A great social experience! Are you ready for an epic role playing adventure? FROM GAMERS, BY GAMERS, FOR GAMERS We are passionate about role playing games. We support our community with real time customer support in 6 different languages (German, French, Italian, Russian, Spanish and English). If you have any questions, feedback or simply want to stay up-to date with Minimon write us at: https://www.facebook.com/AdventureOfMinions. We care about providing the best and most epic gaming experience! Additionally, a network connection is required to enjoy Minimon. Forsakenxe, thank you very much! I hope you try and you enjoy it! PROAPK, thank you very much for the video! I hope you enjoyed playing the game. Not sure why this isn't getting more attention. It IS a rehash on an existing genre. But it's done pretty well. A little more to do and a little more customization than I've seen from other titles in the category. Plus, the theme is nice. So far this game is pretty great with lots to do. The one weird thing I've noticed is the lack of any notifications. It's odd to not be alerted when your stamina is full or when your 'mons come back from a quest. Is that an energy system i see? is there an IAP for unlimited energy? Well I downloaded it to see if there was a way to eliminate the energy via IAP but after 10 levels of forced tutorial I quit. Sorry, I just wanted to see the IAP, not waste 20 minutes being forced to do next level, next level, next level. Maybe its for someone else, not me sorry. Um, if you wanted to accomplish this, why not skip all that and check the IAP list in the AppStore? All the IAPs are listed at the bottom of a page. Has anyone found a convenient interface to promote? I have no idea how to do it beyond finding a portrait in the tome -- and that's only for certain units. Thank you very much nosoup4crr, so far we are getting a very interesting number of downloads, and that, of course, motivates us. Furthermore, you ask if there was a more convenient way of promoting, if you are talking about increasing the start of your Minimon, then you can do that by clicking on the portrait of the Minimon in your collection screen, and then clicking on talent. On that page there is a bar showing how many soul stone you have, and how many you need to promote it. If you have collected enough soul stones, there will be a promote button. If you mean another way of improving your Minimon, could you describe your question in another way? Bajam - We actually had more push notification, but we felt that it may come as spam for our users that. That's why we prefered to decrease the amount of notifications. RangerLump - we are sorry you felt that way, our tutorial is indeed a bit long, but only because there is a lot of details to be explained for any player to be familiarized with the game. And as we do not want the players to spend to much time out of the battles, we rather do an explanation per level. Unfornately IAP for unlimited stamina would create a huge gap between the people which are willing to pay and the people which are not willing to pay. Although you can buy stamina in the game, there is a daily limit, so the game does not become very unbalanced between this two type of players. 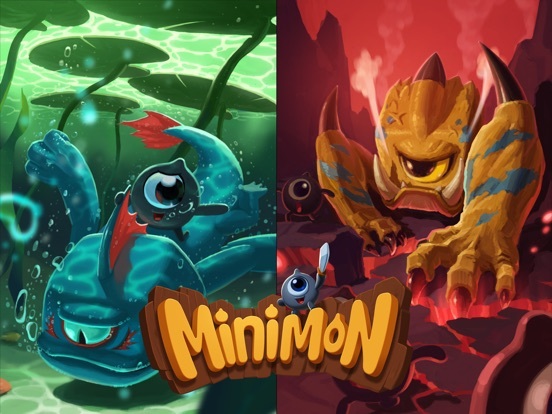 A little over a year ago we released our biggest RPG to date: Minimon: Adventure of Minions. Back then we asked for some beta testers and we have come a long way since then! It has been an exciting year for us and we are now releasing a big Christmas update for our game that we would like to share with you! Christmas has come to the Minimon world! We gave our background screen an overhaul and made it ready for Christmas. Furthermore, there are currently a lot of in-game Christmas events going on. Below you can see the new background screen. We are also very thrilled to introduce our newest game feature: the God System. The Minion God is the guardian of the planet, he has protected this land for centuries. In the fight against the invaders, the Minion God was seriously injured and he was sealed by the god of the dark force. After Enkobo defeated Nocturno in the dread world, he found the place where the Minion God was sealed and released him. However, the Minion God is very weak since he lost most of his power in the battle and he has turned into his baby form. Enkobo and his friends made a deal with the God: they will rebuild the Minion God's temple, so the Minion God can slowly recover his strength. In return, the Minion God will assist them in future battles. Below you can see the design of the Minions God's. This is a RPG featuring one-eyed monsters from another galaxy, who must go against a prophecy to save their world. To win such a battle, strength is necessary but not all! Group up with a team of five to fight against the dark forces. Be aware of the combo between minions, it brings you with extra power! 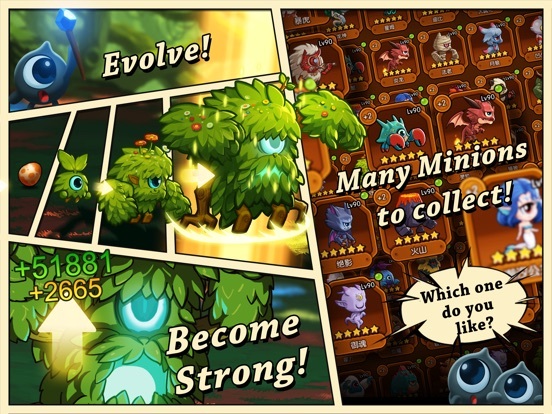 You are not alone in the Minimon world, join a guild and play with global players! Every minion has 4+ skills and their own unique talent tree, upgrade them to empower your minion! 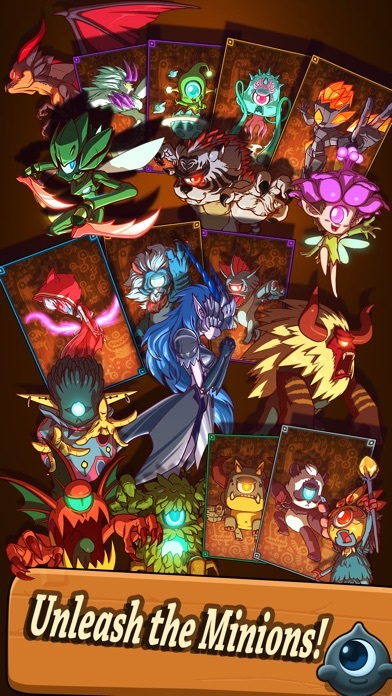 Minions are cute, but never ever under estimate any of them once is awakened! More tanky, More damage, or More crowd control skills? Pick the right team to beat the enemy! 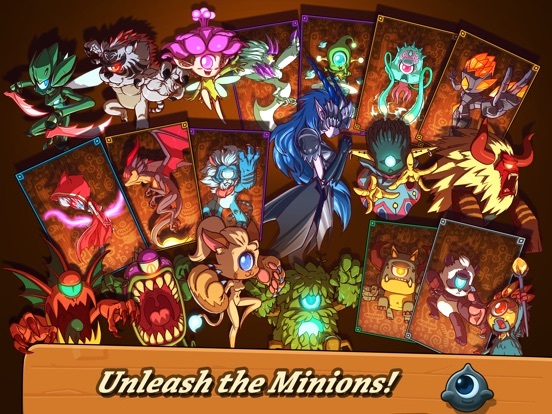 We would like to highlight the stars of our game: the minions! There are over 50 playable characters, all with unique talent trees, skills, gear and skins. 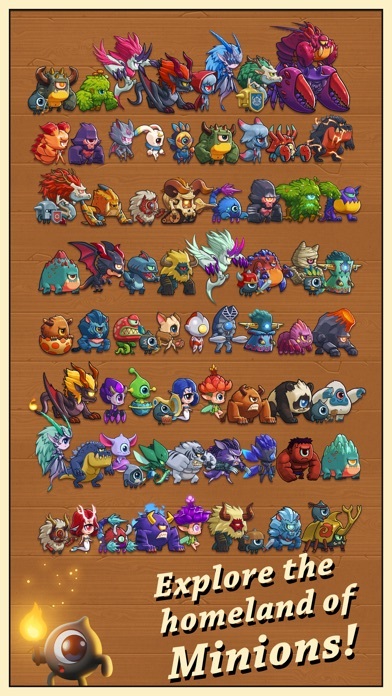 With over 50 unique minions to collect, all with their own strengths and weaknesses, there are going to be very diverse teams in the game, especially since we gave all the minions their own skills and customizable talent trees. In PvP you will encounter other players who will use different teams and strategies, so you will have to prepare your team to be ready for numerous scenarios. Furthermore, you can obtain powerful “combo stats” by using related minions in 1 team. These combo stats can really give you an edge in a fight and make it possible for a lot of different minion composition to be viable. Minions have fixed roles in the team. There are sturdy Tanks, high damage Attackers, resourceful All-Rounds and crafty Specialists. Awakening gives different roles a different buff, so it is important to closely follow the ongoing battle and decide which minion you want to awaken first. We picked 4 of our favorite minions from 4 different roles to showcase to you below. Remember, these are just 4 of the minions you can obtain. There are many more waiting to be collected! 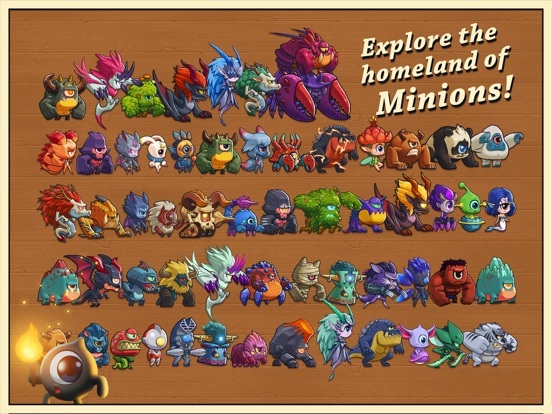 If you are curious to see which other minions are available in Minimon, please visit our Wikia page! Over the past year we received a lot of feedback from all of our players which we greatly appreciate. We decided to implement a system of “Expert Players”. These players have proven to have a great understanding of the game and are active members in our community. We asked the Experts for some tips that could be useful for new players to kick start their adventure in the right direction! If you guys have any feedback for us, please let us know! We always appreciate it .